Not too long ago we wrote a feature which celebrated the way that PC games have moved forward in the last few years, but playing Dragon Age: Origins the first thing we find we have to do is question that idea. 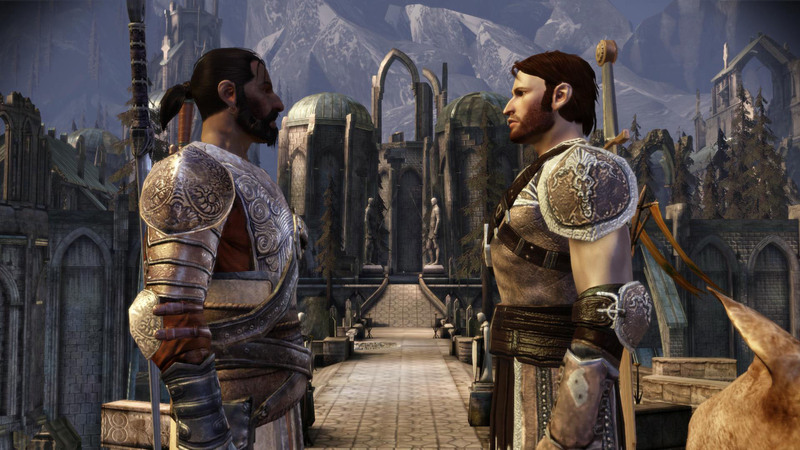 Dragon Age still seems stuck in the past to a certain degree. In ways, that’s not a bad thing. The game has always been pitched as a successor to Baldur’s Gate after all and there’s a lot to be said for those classic fantasy tropes of the unstoppable hordes and the semi-secret society predestined to be led by their youngest member. There’s something in these stories which speaks to us through ageless ambition and a sense of drama. On the other hand though, in an age where technology has allowed developers to start really exploring the idea of cinematic storytelling, Dragon Age feels a bit out of sync and out of date. The presentation and drawn out introductions feel a touch tired and you need to sink a significant number of hours into the game before you can find something that isn’t utterly predictable. 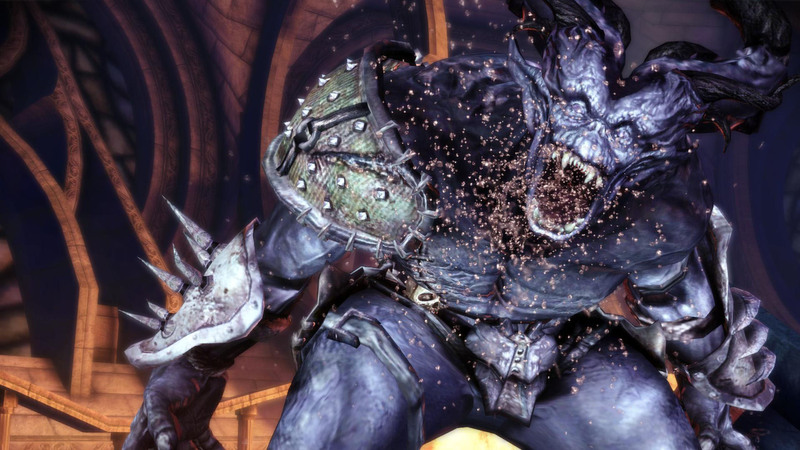 Part of the problem – a significant part – is that, for all its excellence and ability, Bioware is reusing a lot of ideas and materials when it comes to Dragon Age: Origins. Many of the characters feel too-familiar and safe when they are introduced, their personal plights and problems proving fairly run of the mill. The finer details of each ally and enemy eventually come into finer focus, like most of the plot, but there’s a significant portion of Dragon Age’s core that feels like an amalgamated re-run of KOTOR, Mass Effect, Jade Empire and Baldur’s Gate. This isn’t a totally bad thing – being able to compare any title to any of the above games should be considered A Good Thing – but it’s slightly disappointing. Bioware crafts some truly excellent RPGs and Dragon Age is no exception, but we were kind of hoping to have moved past the days of stiffly delivered monologues and sidequests to retrieve family heirlooms. The story is simply that a demon army has appeared on the border and is invading fast and you are one of the last members of the Grey Wardens; a group charged with defending civilisation from the most dire threats. It’s up to you to unite the various factions and issue a counterassault and, while it definitely comes into its own once you’ve got properly stuck in, it’s slow going to accomplish that. Until then it’s hard to forget that if you replace ‘Blight’ with ‘Geth’ and ‘Grey Wardens’ with ‘Spectre’ then this could be an entirely different game. The world at large suffers from similar problems as, without the D&D universe to support them, Bioware has taken a chance to create an entirely new setting. Unfortunately, it too feels mostly unremarkable and uninspired – a carbon copy of Tolkien, with some name changes. Bioware has juggled things around and tried to keep things fresh by subverting the usual stereotypes in places – but, again, it has used these tricks before. The Elves for example are, rather than the high and mighty race you’d expect to find in a fantasy setting, the oppressed minority who’ve only been recently allowed to have a voice in the empire. Just like the humans in Mass Effect. Again, it needs to be stressed that this isn’t totally bad news. If you’ve not played all of Bioware’s backcatalogue then Dragon Age will feel very fresh and interesting. Even if you have played all the previous games then it’s still the same high-quality writing that Bioware has always delivered – but it’s a notable caveat for those of you coming to Dragon Age: Origins expecting a hugely compelling epic from the off. While Origins does get there eventually, it does take a long while before the game really gets going. Though flawed, Tyranny offers a gripping story and a fascinating depiction of evil.